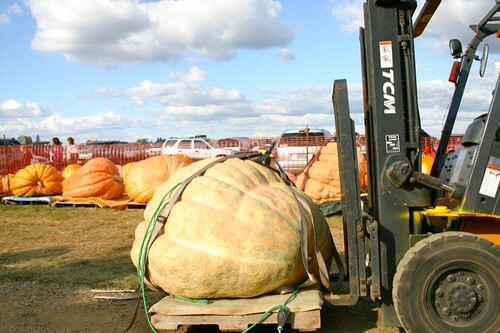 Where the pumpkins congregate in crowds. Where some get extra help and heft. Where they slurp and sip. Where they go for rides with special care. 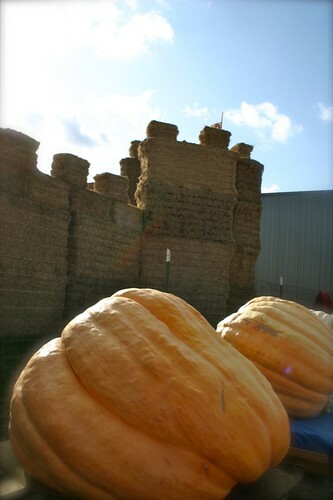 Pumpkins in front of their cribs. Or castles. And where pumpkins are pampered. That's a Heavenly Bed. But alas, we're all judged, aren't we? Including the pumpkins. And then they're dropped from the sky by helicopters. Wonders never cease to amaze me. 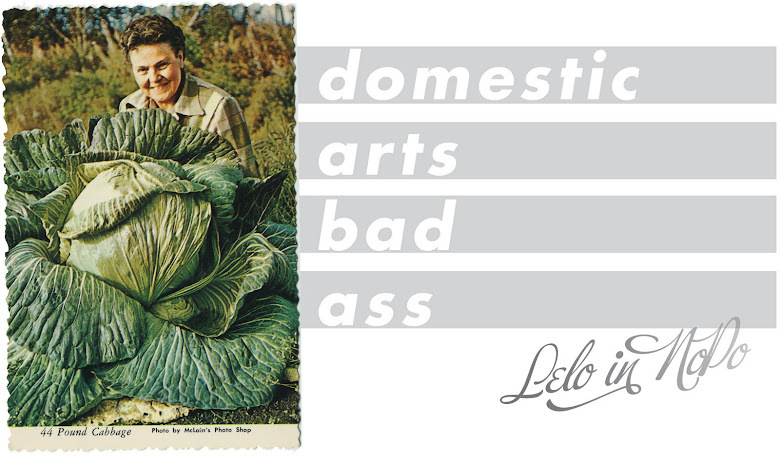 And that includes pumpkin growers. If this isn't awesomeness, I don't know what is. P.S. 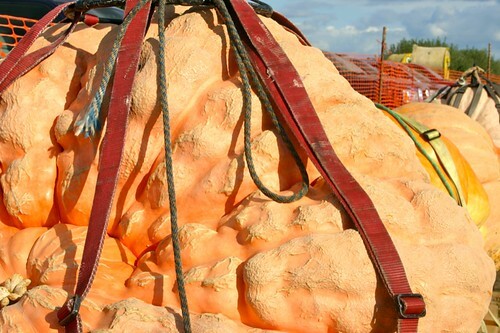 This was the Great Pumpkin Weigh-Off at Bauman Farms in Gervais, Oregon. It's like a SI-FI movie...Crazy and cool at the same time. 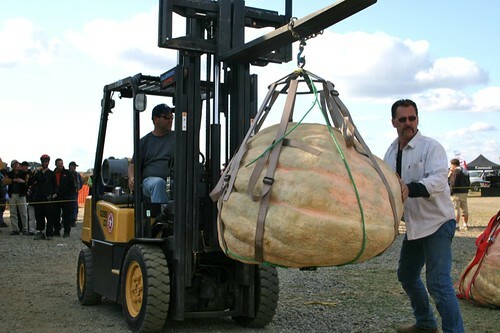 I live in Half Moon Bay and we have The Pumpkin Festival every Oct. We have a giant pumpkin weigh off and often times the pumpkins from Oregon win! THIS IS TERRIFYING. And awesome. 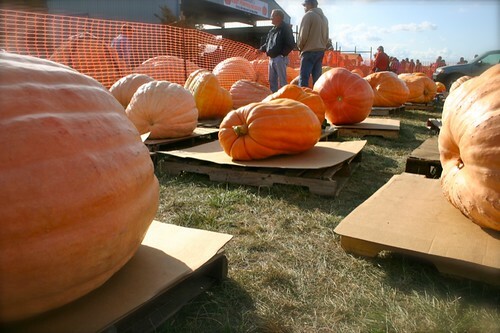 Have you filled your porch with pumpkins and your counters with winter squash yet? 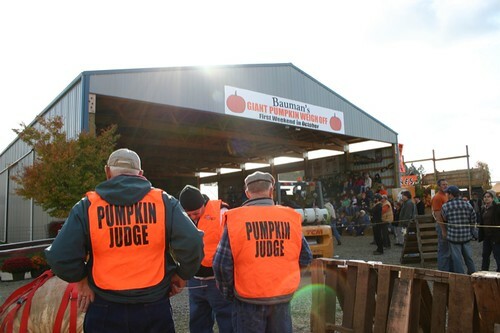 I need a flourescent orange PUMPKIN JUDGE vest! Wow! 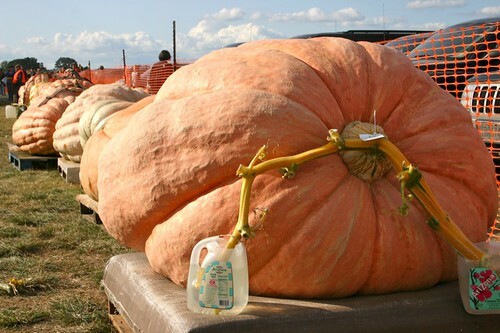 Those pumpkins are incredible. What an amazing feat of farming excellence. va va va voom !!!! So cool... I think I get it right up until the helicopter... What the...? Hi, I saw your "Three Garden Wishes" in Fine Gardening. Thought I'd drop by. I'm a fellow Oregonian and it's always nice to connect with the locals. Here in the mid-valley the bees seem to be aplenty, thank God. 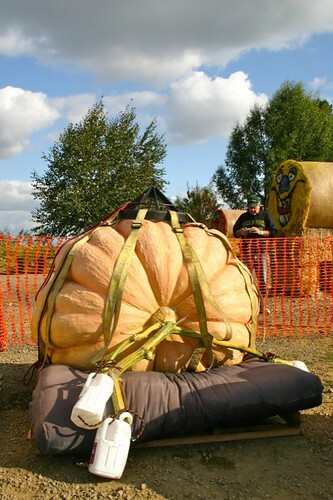 The pumpkin contest seems to be all business, until, like Steve R. said, the very end. Can you imagine the cleanup? Or maybe they just let it all rot in one huge compost pile and next year they nurture the volunteers, hoping for progeny of similar or better size. The pictures and text would make a fabulous children's book.